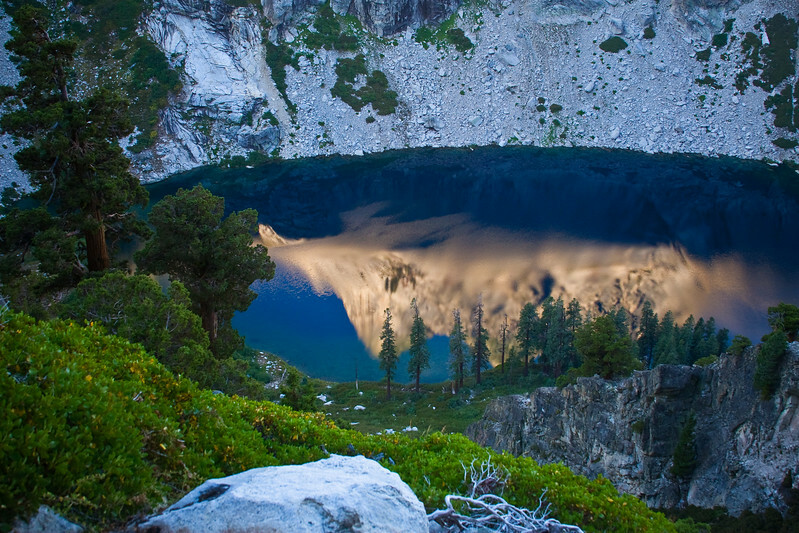 One of the highlights from the High Sierra Trail in Sequoia National Park. The morning I took this photo I was in a mad dash to get to the lake from the Hamilton Lakes before the morning sun snuck up over the cliffs. Thankfully I beat the sun and captured these wonderful blue tones in the lake. 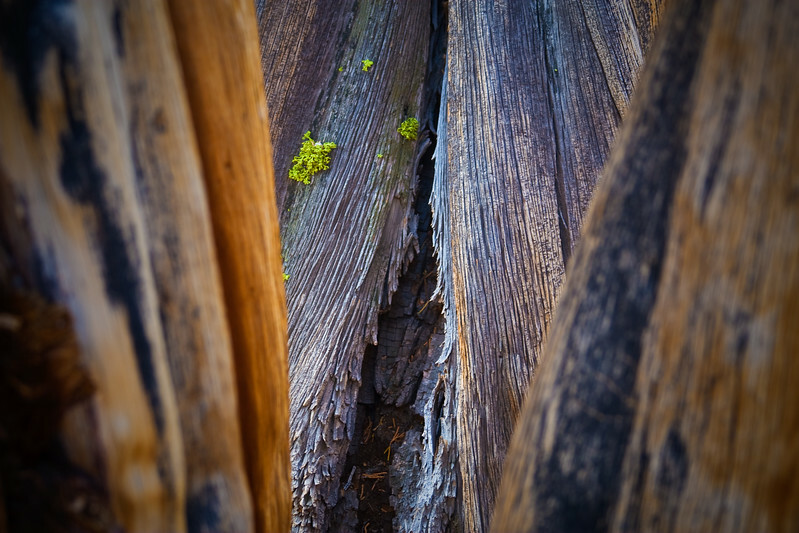 Extreme close-up of the base of three trees bunched together. Taken day five on the High Sierra Trail. We experienced some stormy weather the last couple of days of our trip. 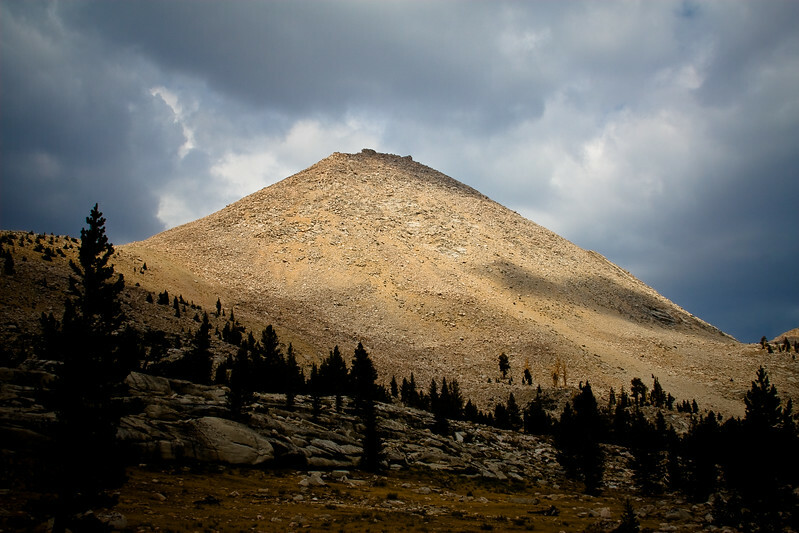 This shot was taken on day five on the High Sierra Trail. 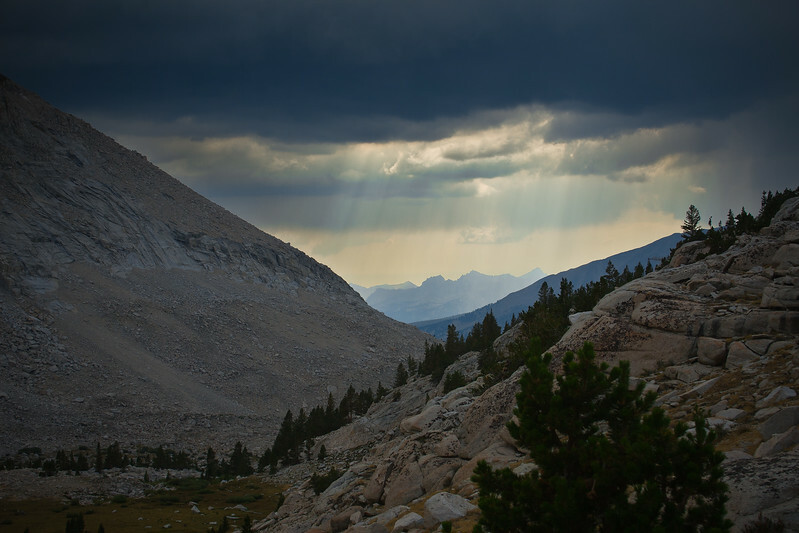 The weather got rather gloomy on Day 5 on the High Sierra Trail as we approached Guitar Lake. 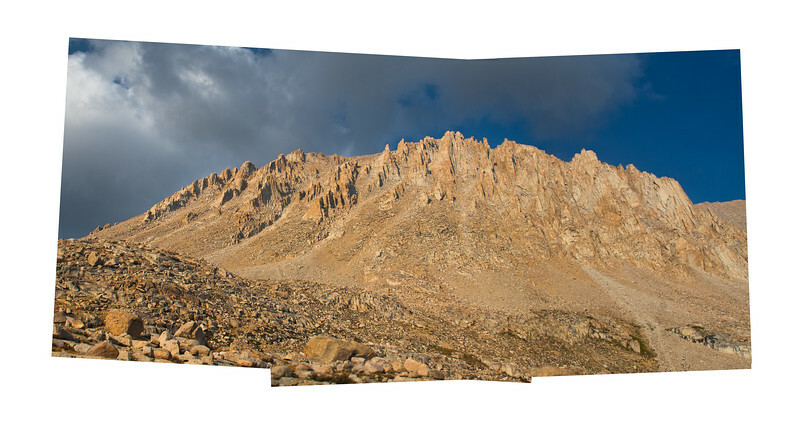 After 5 days of hiking the High Sierra Trail we stop at Guitar Lake with Mount Whitney just above us. 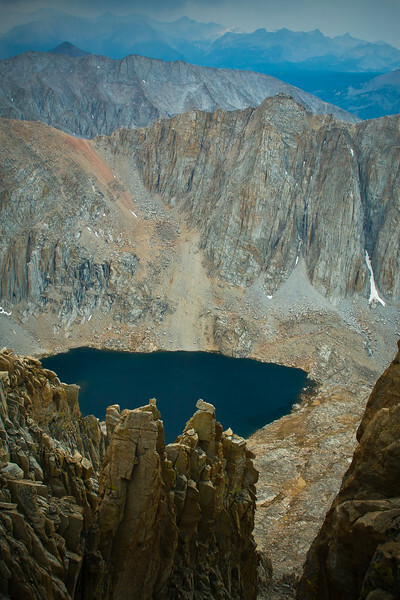 This is the view we had from Guitar Lake looking towards Mount Whitney. Looming thunderclouds made Mt. Hitchcock really stand out the final day of our trek on the High Sierra Trail as we neared Mount Whitney. The sun gave us some evidence it was still out through storm clouds while we were climbing the back side of Mt. Whitney. 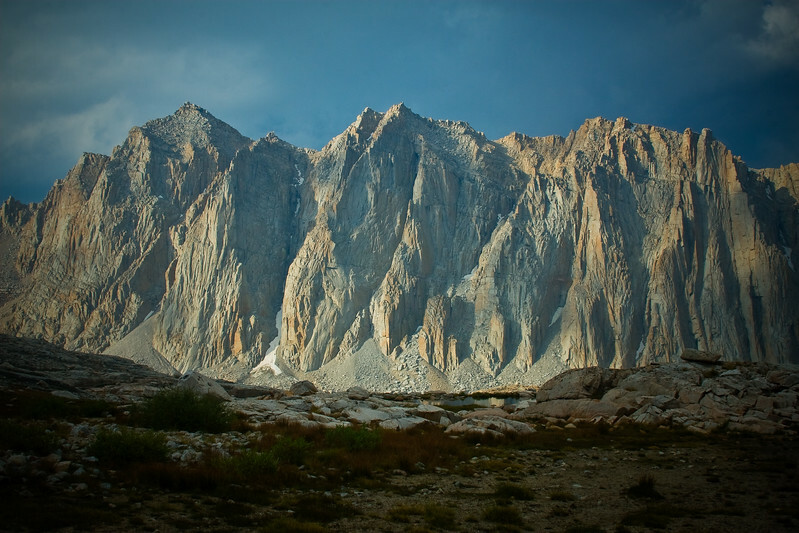 Taken on the trail to the top of Mount Whitney. 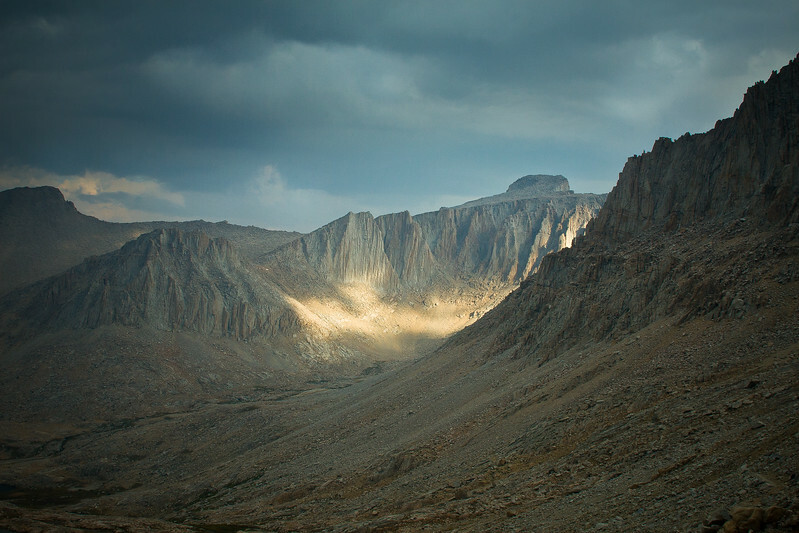 Forced to turn back before summiting Mount Whitney because of lightning, we caught this patch of sunlight on Mount Muir just past Trail Crest.